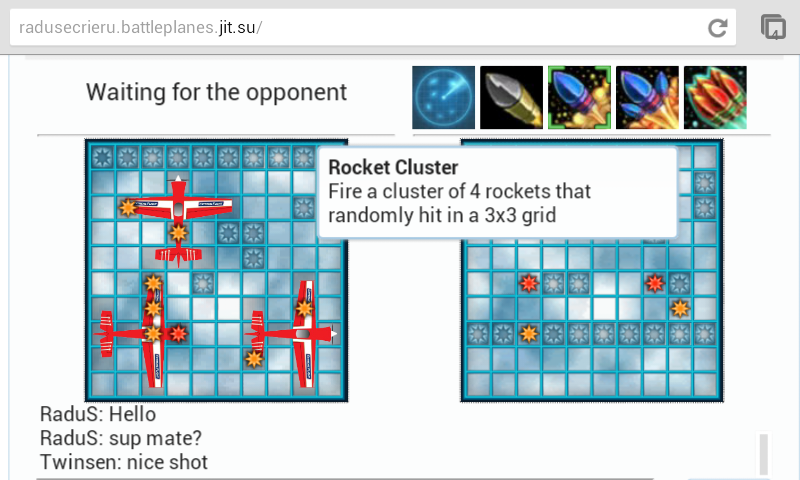 Battleplanes is an online multiplayer game based in the classic pencil and paper game of Battleship. 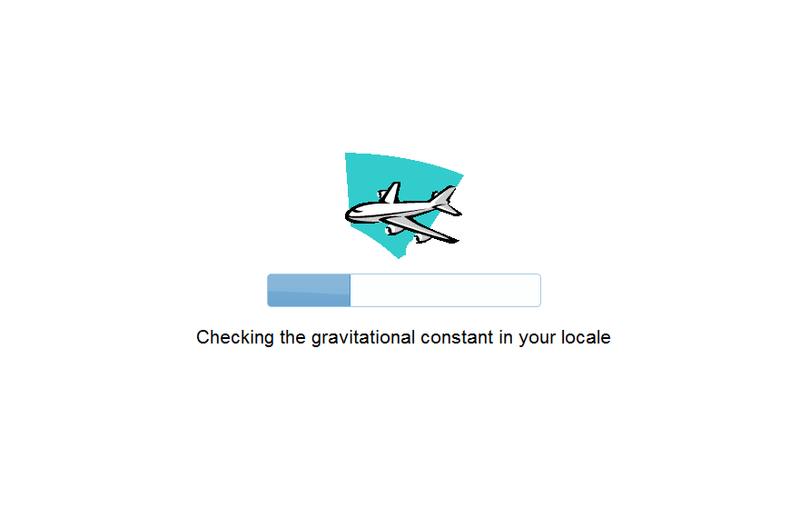 This is a guessing game in which players each place 3 air-planes on a 10x10 square board and then take turns to guess each other's plane's positions. The game is created to be played online, in a mobile or desktop browser. 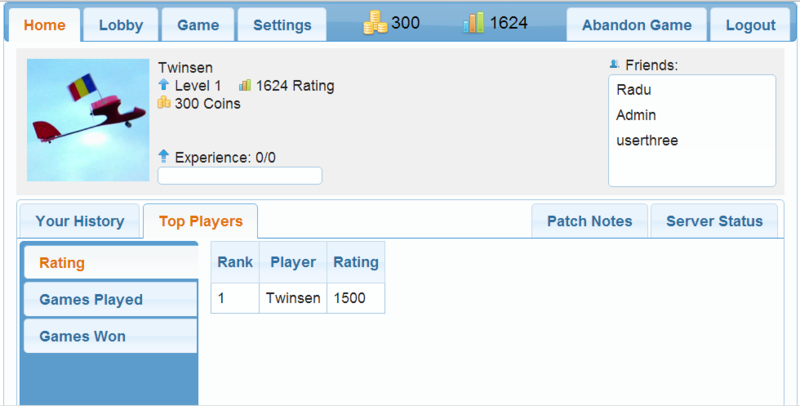 A player profile, which contains the player avatar, rating, number of coins, friends from the game. A lobby in which the player can discuss or invite another player to a duel. A matchmaking system, which the player can join to be automatically matched with another player of similar skill which is also using the matchmaking system. Customization: players can select what model their airplane has, and un-lock other plane models. Ability to connect using Facebook and Google. 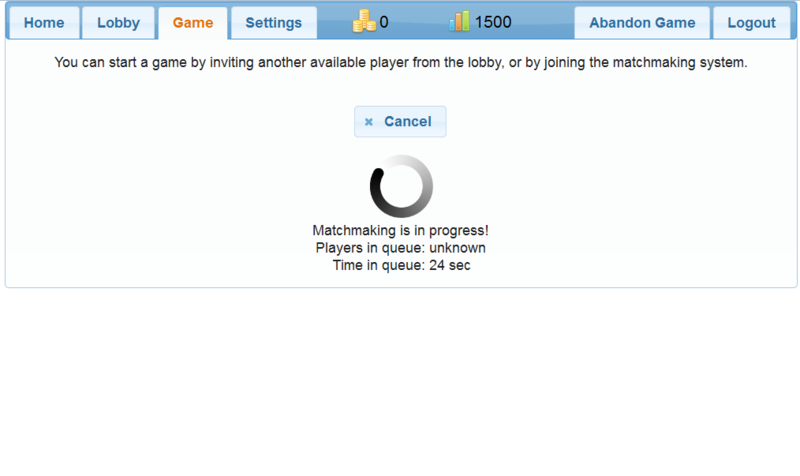 Unfortunately I dont want to maintain a Node.js server so the game is offline for the foreseeable future. Battleplanes was developed in 2013 as a project for the "Client-Side Web Application Development" course by a team of Computer Science students.